Texas Divorce Laws Adultery - How Does Adultery Affect Divorce in Court? Texas is a state in which it’s possible to file for either a no-fault or a fault-based divorce. 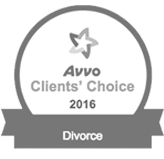 No-fault divorces are much more common and far less complicated. It’s when you and your former spouse say you just can’t make it work anymore and it’s time to move on. Texas accepts that and allows the two of you to do that in peace. On the other hand, there may be a number of instances in which one spouse wants to claim fault in a divorce. Texas provides them a number of legitimate grounds on which to do so. One of those grounds, of course, is adultery. While adultery is not itself a crime in Texas, it’s not exactly legal either. There are a number of Texas divorce laws for adultery. You can be held liable in a divorce if you are caught cheating on your spouse or they can be held liable in the event that they were the cheater. If one spouse files for a fault-based marriage against the other spouse on the grounds of adultery, it could have a serious impact on the division of property. Judges are not, however, under any obligation to favor the spouse who has been cheated on. 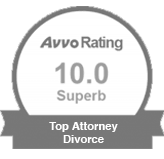 Typically in a no-fault divorce, assets will be divided in half. A judge could decide, however, that the at-fault spouse should give up more than half of their combined assets. This will most likely happen when adultery was the sole factor for the dissolution of the marriage. It can also happen when the at-fault spouse spent lavishly on their lover. It’s unusual for infidelity to affect child custody, but it’s not unheard of. It will depend entirely on the nature of the affair, how the children feel about it, and what (if any) negative consequences there were for the children. If one spouse pursues an at-fault divorce on the grounds of adultery, the burden of proof is on them to establish that the adultery actually happened. Failing that, the court will not grant the spouse an at-fault divorce. They will be forced to pursue a no-fault divorce. 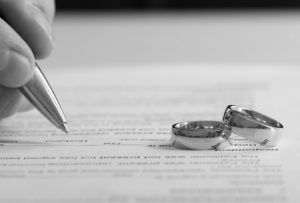 Getting the courts to sign off on an at-fault divorce is tricky. You need proof and you need to show that it caused the end of the marriage. A skilled lawyer can help you make that claim. 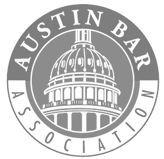 If you want to pursue an at-fault divorce on the grounds of adultery or your spouse is pursuing an adultery claim against you, the Law Offices of Ben Carrasco PLLC in Austin, Texas can help you make that claim. Give us a call at 512-320-9126 or contact us online and we can begin discussing your case immediately.